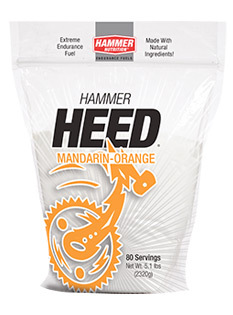 Hammer Heed is a definite “step up” and welcome departure from the seemingly endless number of powdered sports drinks available to endurance athletes, giving you all the convenience of a powdered drink mix along with many added benefits not found in the vast majority of sports drinks. 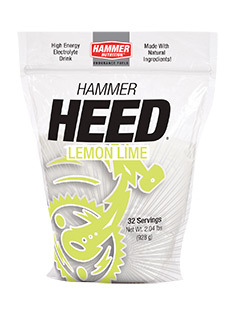 One of the primary flaws inherent with most sports drinks is their reliance on simple sugar as the carbohydrate source. The use of simple sugar such as glucose, sucrose, and fructose not only severely limits the amount of calories that can be efficiently digested and utilized for energy, it may cause wild fluctuations in energy levels. 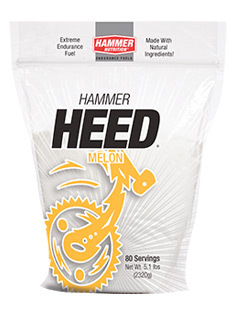 Heed’s all-complex carbohydrate formula, on the other hand, allows you to obtain the ideal amount of calories you need, providing a more consistent and longer lasting energy supply, and without putting you at risk for stomach distress. 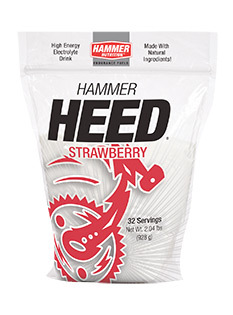 Available in 32 or 80 serving containers.